Modern web wonders such as ‘Flash’ have for sure taken websites a step ahead of their time; however, optimum performance requires not only brilliant but also intelligent use of Flasrel=”nofollow”h. A visitor will never prefer your Flashy website, if it is taking enough time to load and as a result, your effort will go in vain. Moreover, there is also a minute probability that there is no flash plug-in in your prospects computer. The best thing to support your decision regarding flash is to test it with a sample audience and proceed as per their feedback. In addition, a non-flash version of your website can also be offered to the same audience to make a justified comparison between the two. Another fact that I would like to throw some light on is the fact that tech giant ‘Apple’ does not support flash at all. Given the popularity of Apple devices such as iPad and iPhone, there are chances of your prospects visiting the website through these devices (or iPhone apps websites). 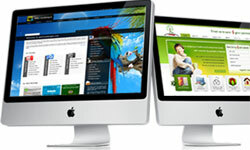 Therefore, visiting a Flash website from any Apple device can be a horrendous experience for a visitor. This is one of the boldest myths I have ever come across! Look around you and browse through all the professional websites you can find, what do they have in common? Colors…I guess not, but the frequency of colors for sure. Excess use of colors in your website to make things fancy and fruitful will be an absolute pain for a visitor to follow. A professional website consists of colors not more than3 or 4, with a perfect combination that promotes instant readability. Consistency is something that has to be maintained throughout the website when it comes to colors, for instance all the hyperlinks should be of the same color that contrast well with the background (not necessary to be Blue). I believe that images often speak louder than words, given the fact if they have been used intelligently. Images for sure can improve the understanding quotient of your website content and impart the business message in a much better way. However, excess of everything is harmful, be it even images as they increase the loading time of a website. Psychologically speaking, if your web page does not load within 15 seconds, a user starts to lose his interest and ultimately his cool too. Including the image and the HTML, a website should not be more than 35K in size to make sure that they load within the time frame I mentioned earlier. If your website is more than the mentioned size then, adding ‘height’ and ‘width’ attribute on the images will ensure that the texts load prior to the images, thereby retaining the visitor until the images loads. I agree to some extent as when we define web designing, it is known to be defining the look n’ feel of the website; however, the scope of web design is never limited to just the front-end but the entire service. Web designing include improving user experience, assessing user perceptions and detecting intentions accordingly. 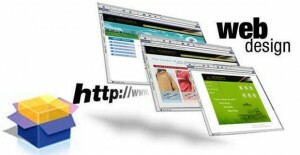 In short, web design can be considered as a base on which the functionality of a website works on. I agree that well designed ‘Homepage’ does hold a very important value but consistency too does matter a lot. The first reason for that is a visitor may not always land directly on your homepage and secondly, we have services page too that contains the core business message. If you have a brilliant Homepage then a user expects you to show consistency across all the other pages of the same website. Consider a website structure similar to human anatomy, which is why every part or web page is important. There are many other myths present that surround the vibrant field of web designing. I hope this article proves to be a revelation for web designers, especially the budding ones. So, let’s share our knowledge and pass on the baton to people who are still unaware of these common misconceptions. Maneet Puri is the Managing Director of professional web design company Lexolution IT Services. Over the years, as a web consultant he has been offering valuable tips and practical web design advices to his clients located all over the globe. As an avid writer, he continuously strives to educate his readers through articles and blogs on web design, and notions associated with the same. Mr.Author you have a brilliant sense of presenting things..people could learn a lot from you when it comes to writing stuffs. and about your article:absolute brilliant writing! Good going and lot more expected from you. Thank You! Appreciations not just make a person feel good but also adds to the motivation too! that is really great article. love all those things you have mentioned about the website and the mythologies. it was really cool.